There is no shortage of social apps that you can use on your Android phone. 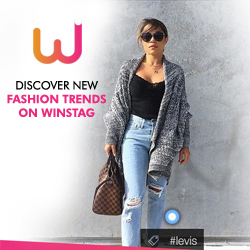 This is why in order for an app of this kind to stand out, it has to introduce something new that users would find extremely useful and convenient in their daily social and messaging activities. Yabb could very well fit this description, as evidenced by its growing number of patrons. 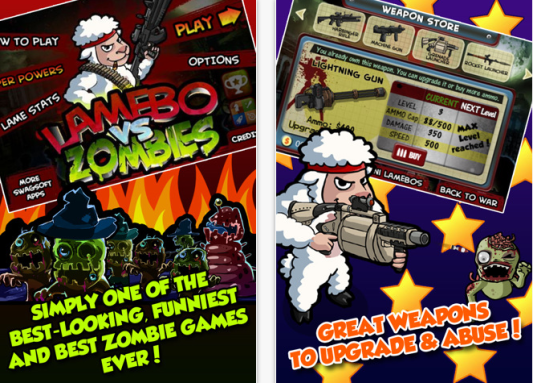 The main attraction of the Yabb messenger is that it encourages you to meet new people. As you begin building your profile in the app, Yabb takes the initiative to give you flashcards of people that you can add who are already using the app. You can easily swipe through the cards and view information about them and add them on the fly as well. You are also given your own feed from which you can view the public posts of people. Another standout feature of the app is that it allows you to create disappearing messages and other forms of media (through the Whisper functionality). This is useful if you want to send messages that won’t be saved in the recipient’s inbox. With that said, rest assured that any method of communication through Yabb is free. Whether it’s VOIP calls, video calls or text messages, Yabb functions like any other messenger app. Ultimately it stands out more in its social aspect as well as the self-destructing messages you can send along with the option to send animated stickers. Otherwise, you can just stick to good, old text messages which are no less exciting thanks to stickers and emoticons within the app that you can freely use. For one, the app places importance on being able to meet Yabbers who happen to be within your area as well. There is a People Nearby tab within the app that actually helps you do this. It proceeds to take the initiative in identifying other Yabb users within your locality after you have entered information in your profile that other users would immediately want to know if they’re also on the lookout for other people to meet. 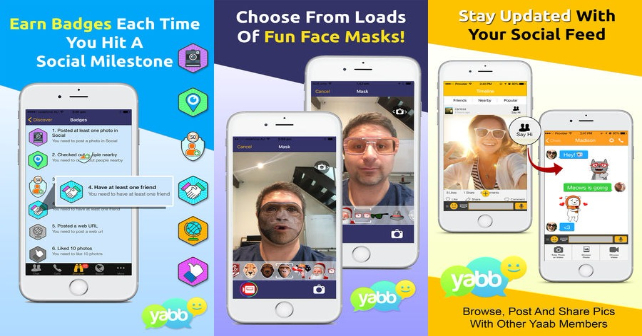 Other noteworthy features include adding face mass in your videos to spice up your interactions when making video calls, the ability to send shout-outs to specific people at the same time, as well as the reward points that Yabb give to their users as they make milestones while using the app. These badges do more than give users a sense of achievement as it is also a clear testament that the app really has a proactive approach in connecting people with others who are similarly looking for ways to add that much-needed zing to their social life.